English is an international language as well as competitive subject too. English Literature enriched world literature. At the same time it communication the world people and nations through its growing popularity around the world. The language English rapidly has become world international language through its simplicity, flexibility and versatility. In the world and also in India English language has taken a big role in competitive exams like TOEFL, UPSC, PSC, SSC etc. Here we will discuss all about English language and grammar for communicative approach as well as for different competitive examinations. 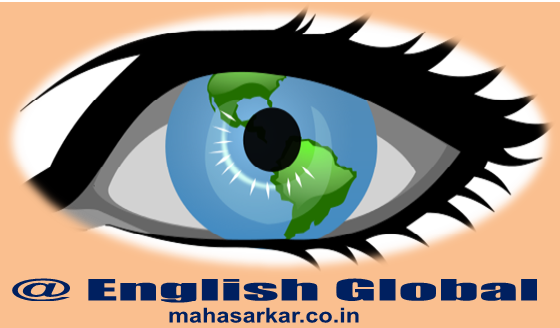 We will start from ABC of English and everyday will discuss new lessons with our Viewers. Chapter wise analysis and tests will make you stronger and build up you as a smart fluent intellectual English speaker viewers will also get different information and question answer keys of different competitive exams in India and around the world. So stay with us two hours a day and follow us daily you are safe at English zone with our experts and updated sharing’s.